In the digital age, customer experience is an essential key to commercial development. On 11 October, La Poste’s sales management team brought together 50 marketing managers in Bordeaux to learn about solutions to refresh the customer experience. The participants attended conferences in the comfortable meeting rooms of Bordeaux’s new Hilton hotel. Each euro invested must produce results. This is known as ROI (Return on Investment) and is a key indicator in marketing. 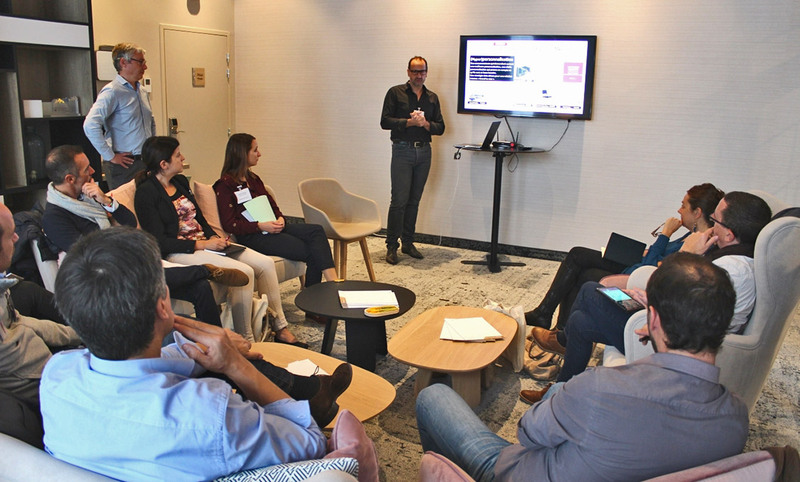 As it is a key concern for the policy makers from La Poste Solutions Business, the ROI was a running theme of this first Bordeaux edition of Marketing Experts’ Discussion (PEM), based around the theme of reinventing the customer experience. There were 4 sessions of 4 workshops throughout the day about innovative solutions in the domains of data*, GDPR*, CRMs* and social media. This was a rare occasion for the marketing managers in attendance to meet experts from La Poste, its subsidiaries and partners all in the same place. Participants could take many benefits from such a day. Arlène Castagna, marketing and communication manager of Coopére, a distributor for hairdressing professionals, says “the idea is to meet the market players and bring concrete solutions”. An inspiration strategy confirmed by Marc Canavaggia, managing director of Sunêlia, a network of premium campsites in France and southern Europe, who came to “discover ideas and tools which help us reinforce our customer relationship strategy”. Meeting peers seems to have been another source of satisfaction for participants. “This is the strength of the PEM,” emphasised Olivier Barbin, social media consultant at Superfull agency and a partner of this initiative, “it’s an event which helps to create conversation in a close and friendly setting”. In a market where consumers’ habits are constantly evolving and where data is becoming more and more important, it is the role of a long-term player like La Poste Solutions Business to encourage reflection by its business clients and to support them in winning over prospective customers and encouraging the loyalty of existing customers.